Are you the world's next top PhD student? Are you interested in applying to the University of British Columbia (UBC) Forestry programme? The UBC Forestry is ranked in the top 3 forestry schools in the world! As one of the world’s top forestry schools, the Faculty of Forestry at the University of British Columbia is giving away the largest single grant (up to $280,000) for a forestry student. The UBC Faculty of Forestry’s Future Forests Fellowship aims to attract and retain world-class doctoral students by supporting students who demonstrate both leadership skills and a high standard of scholarly achievement in graduate studies. not hold any other awards from the Canadian government or the University of British Columbia at the same time as the Future Forests Fellowship. The fellowship is valued at $70,000 CAD annually for up to four years. The fellowship is intended to cover all expenses incurred in the preparation and conduct of research. 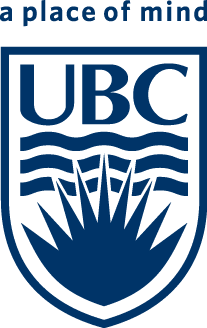 The University of British Columbia, commonly referred to as UBC, is a public research university with campuses and facilities in British Columbia, Canada. Founded in 1908 as the McGill University College of British Columbia, the university became independent and adopted its current name in 1915. It is British Columbia's oldest institution of higher learning.